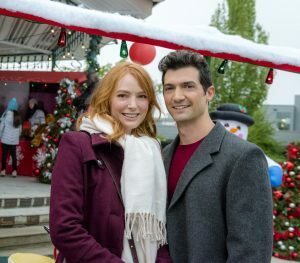 With the U.S. getting ready for Thanksgiving this week, Hallmark Channel is running holiday movie premieresÂ every night from Wednesday to Sunday, with Lifetime jumping in with two Saturday and Sunday, and Hallmark Movies & Mysteries, UP Television, and ION Television adding their newbies on Sunday night. Here’s a tease of each of the new movies. The premiere dates and times are noted below, but all of the films will repeat through the end of the year. Click through on the movie title for complete network schedules. 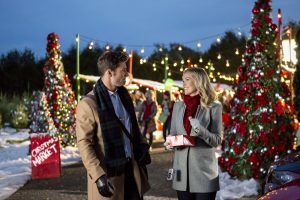 Advertising execs Melanie (Emilie Ullerup)Â and Donovan (Aaron O’Connell) disagree on a cellphone Christmas commercial theyâ€™re pitching and when sheÂ drawsÂ his name for Secret Santa, sheâ€™s at a loss. 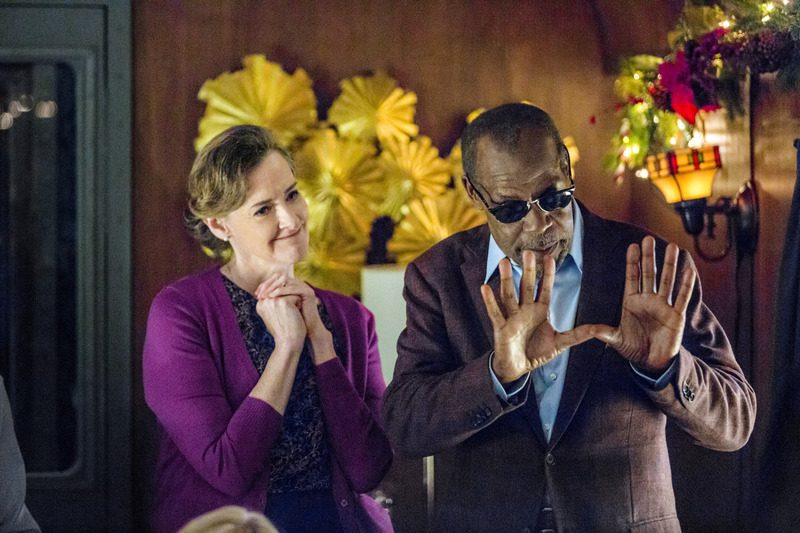 Determined to give Donovan and their commercial holiday joy, Melanie tries to get to know him via a Secret Santa e-mail and a crash course inÂ Christmas cheer. Soon, she begins to fall for him, and as they create the perfect commercial, they realize they might be perfect partners as well. When aspiring romance novelist Kim (Alicia Witt) is unceremoniously dumped shortly before Christmas by her soon-to-be-published romance novelist boyfriend, Garth (Casey Manderson), she signs up for a romance writing retreat at a quaint Vermont inn. 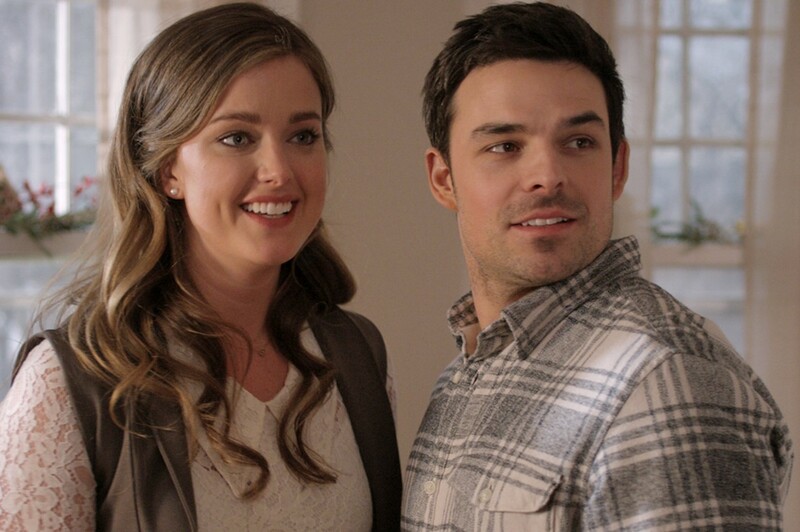 After arriving, she’s partnered withÂ Zeke (David Alpay) and discovers that Garth is also in attendance.Â Despite these bumps in the road, Kim steps outside her personal and professional comfort zones and discovers an attraction building between her and Zeke. 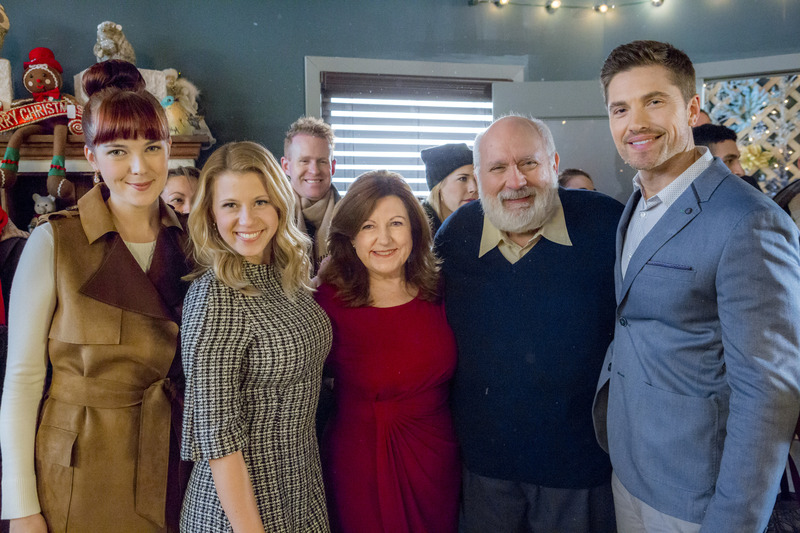 Full House‘s Jodie Sweetin makes her Hallmark headlining debut as Grace, the third generation of her family to steward the Green River, New England signature Christmas Eve parade. 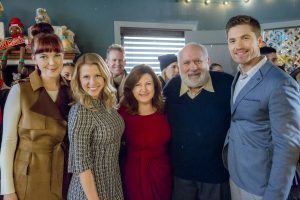 Things look great when aÂ national morning show chooses the town for its Christmas Eve day program until the parade’s regular Santa, TomÂ (Garage Sale Mystery‘s Jay Brazeau), takes a tumble and breaks his arm. Unfortunately, the only person who could conceivably fill Tomâ€™s boots consistently refuses to consider it: his son, Ben (Eric Winter), a writer who lives in Boston. 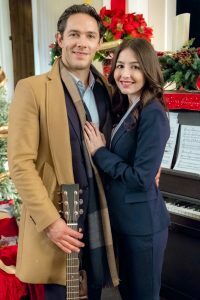 With her townâ€™s reputation and economy on the line, Grace must get the reluctant Ben from Boston to Green River and into that Santa suit. 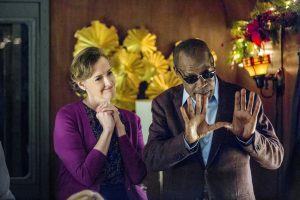 This year’s Hallmark Hall of Fame entry is an all-star affair with Kimberly Williams-Paisley, Dermot Mulroney, Danny Glover, and Joan Cusack in a holiday film set aboard a cross-country train trip.Â Disillusioned, globetrotting journalist Tom Langdon (Mulroney) must get from Washington, D.C. to Los Angeles in time for Christmas. Forced to go by train and determined to chronicle his adventure, Tom finds himself westbound with a variety of characters who open his eyes to wondrous possibilities, and the opportunity for love he thought had been forever lost. 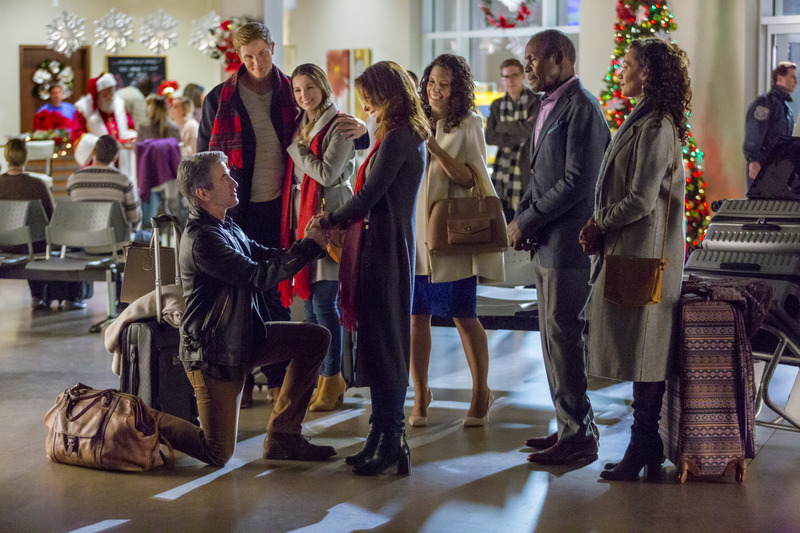 Tatyana Ali and Wynonna Earp and The Night Shift‘s Brendan Fehr star as Heather, the manager of the upscale Town Center Mall, who is tasked with closing under performing stores, and Ryan, who is working at the mall for the holidays, playing Santa and helping his Aunt Patty run her toy store. Unbeknownst to Heather, her niece has asked the mall Santa to help find a boyfriend for her aunt. As Heather and Ryan begin to fall for each other, they have no idea of one another’s true identity–that she could be closing his aunt’s store, and he’s the man behind Santa’s beard. 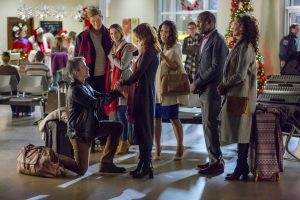 Jonathan Scarfe and Kelli Williams, who starred together in Ties That Bind, reunite for a Christmas film written by that show’s creator, Sheryl J. Anderson. Click here for a preview. 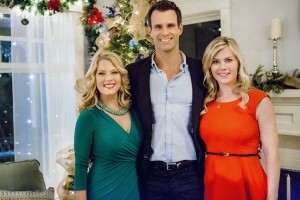 The already super-busy Candance Cameron Bure gives the twin thing a go in a story of identical twin sisters,Â Kate and Chris, who each plot to be the other — at Kateâ€™s office and Chrisâ€™ school — to plan their respective Christmas events.Â Chris as Kate draws the curiosity of co-worker Greg (Mark Deklin). Kate as Chris is introduced to Tom (Eion Bailey) a wealthy donor who steps in to help the festival, who she remembers from a chance meeting 20 years earlier.Â There’s just one problem, or two — the sisters swore not to pursue romance while pretending to be the other. Also look for Hallmark spokesdog and adoption ambassador, Happy. Just before Christmas, bestselling author Rachel (Natalie Knepp)Â returns to her hometown to host an event for her upcoming book, which is an uneasy visit given her estrangement from her brother, David (David Lewis), since the death of their parents. Once home, she finds strength from her local producer, Jack (Michael Rady), and a selfless stranger, Joy (Bonnie Bedelia). 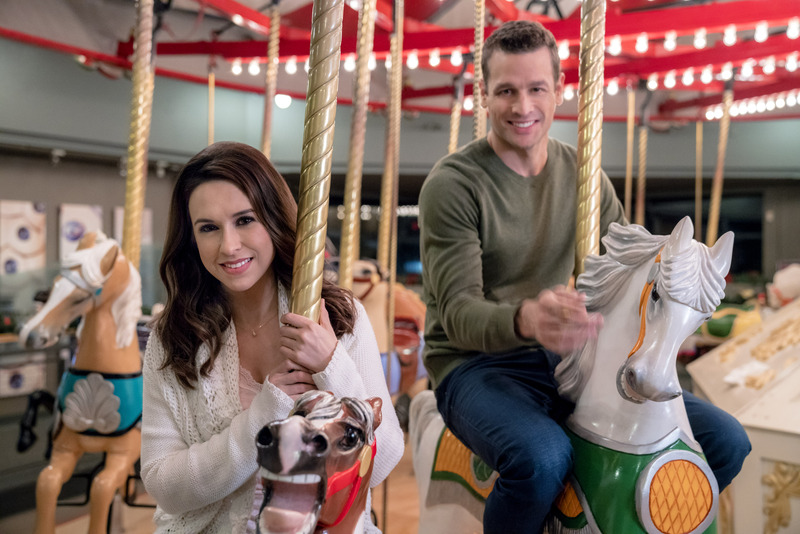 They help Rachel connect with the community, reunite with her brother, and reevaluate her motivational message, just as she receives career pressure from her manager, Stuart (Steve Bacic). Thankfully, Joy reveals a secret from her past that brings them all together. Melissa Joan Hart and Mario Lopez reunite a decade after their pairing in Holiday in Handcuffs as Connie and Will, who each run small, family-owned toy stores in Connecticut. Although they are the latest generation to follow suit on a longstanding business rivalry, they set that aside to take on a new big box toy store that’s landing in their town right before Christmas. 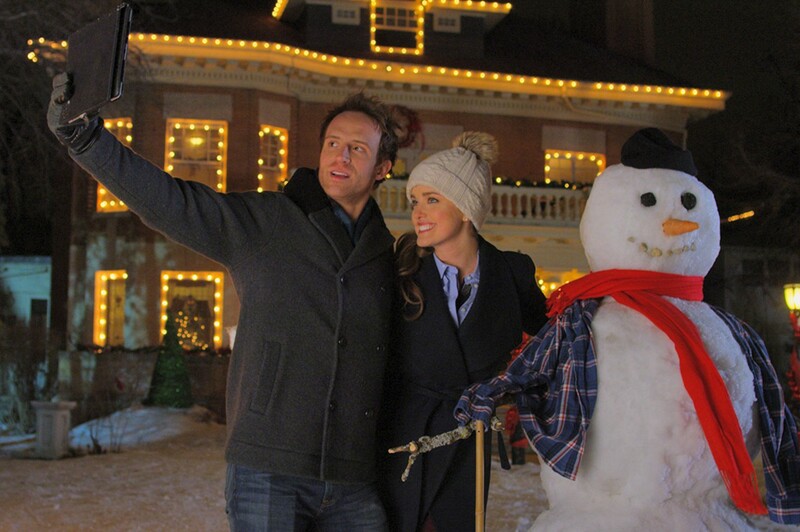 No man is perfect enough for Sarah Groves (Ashley Newbrough), except perhaps the impressive snowmen she sculpts annually with her childhood pal, Nick (Adam Hurtig). In mid-December, her snowman disappears, and in his place, materializes Cole (Cedar Cove‘s Jesse Hutch), who seems too perfect for Sarah to be true.